We know a pattern when we see it but can’t give an exact definition, as patterns are based on individual learning, innate knowledge, and context. The left and right sides of Figure 1 have different densities of random dots. There is no pattern on either side but, where they join, we recognize an “edge”. 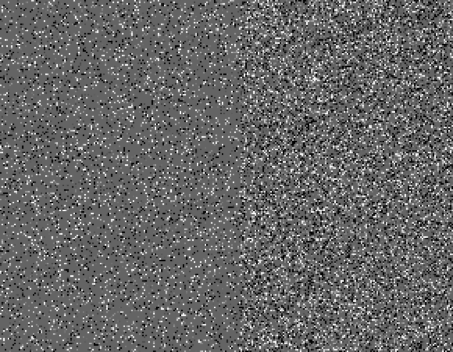 This “edge” exists only in the context of these two noise patterns. Saying that patterns contain “information” might help in theory, but information still is based on knowledge and context. Suppose you want to recognize (classify) red and green apples. Figure 4, left, shows a color space of all red and green pixel intensities. Each pixel in the input image maps to a point in this color space. Example mappings for three points on red and green apples are shown by red and green arrows. 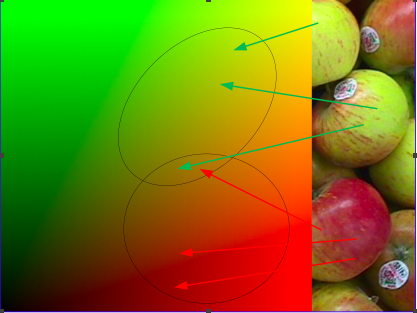 Figure 4 – Color space (left) with representative ellipses showing the area of generalization of colors learned from red and green apples. It would take you a long time to label every combination of red and green intensity, and a very long time if you add a blue component. So, in practice, the classifier generalizes from a few color examples to give a representation of red and green apple colors. In Figure 4, the two ellipses show the representations of red and green colors, generalized from a few color samples. Any generalization means going beyond your data and so has risks of mis-classification. The fields of machine pattern recognition and automated classification are deep and older than either of us. I hope this introduction gave you some basic ideas and terms. 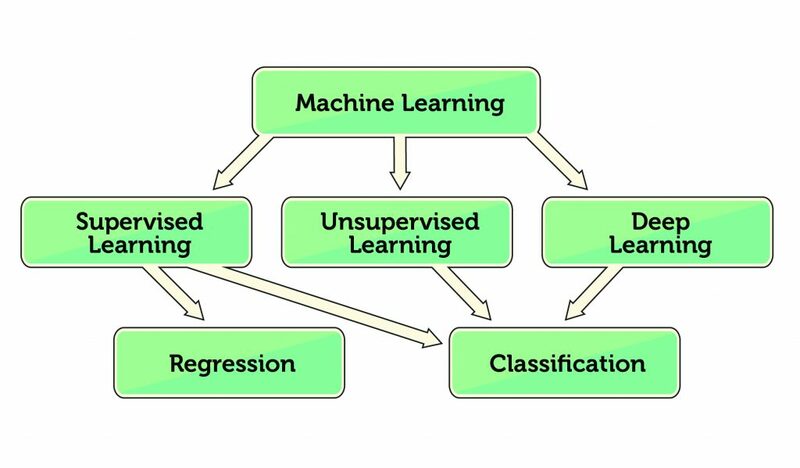 Key points are the differences between innate and learned knowledge, features and “higher order” combinations of features, machine vision taking hints from human vision, and the implementation of machine pattern recognition using machine learning and, in particular, artificial neural nets.